Searching out there for that special someone to light your fire and make your heart skip a beat? Exploring your options for a soul mate can be a short or long journey depending on numerous factors and conditions. However, a quick way to detect a soul mate connection is by the birthday. If 1 number in your chart matches 1 number in another person’s chart you initiate a soul mate connection. This creates an instant bond because one sixth of your personality is the same. Soul mate connections vary in karma as some produce a reward and others a debt. 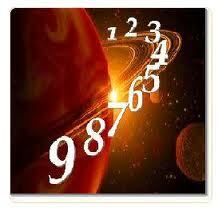 There are 3 numbers that are extracted from the birthday to create a Numerology chart. The first number is derived by the day you were born. The second number is found by adding the day plus the month. The third number is produced by adding the day, the month, and the year. An example: I meet someone whose birthday is 7/19/55. His first number is 19. His second number is 26(7+19). His third number is 46 (7+19+20). Note that the year of a birthday is calculated by adding each number to produce a total (1+9+5+5=20). My birthday is 5/26/58. My first number is 26. My second number is 31 (5+26). My third number is 54 (5+26+23). There is a soul mate connection 26. If you don’t find a number that matches your chart don’t give up. There are 3 more numbers that are formulated by computing the letters in the name. The technique for retrieving these numbers is more complicated. Each letter has a numerical value. First, you must change each letter to a number. Next add up the numerical vowels to produce a total. Then add the numerical consonants to produce a total. Last add the 2 totals together. An example is Anne=1555. The vowels equal 6(1+5). The consonants equal 10(5+5). The total equals 16(6+10). When you are calculating the numbers for the name you use the full birth certificate name. Yes, you have found a soul mate connection what does this mean? For example the 26 soul mate connection denotes 2 playful spirits that enjoy sports, fun, and are juvenile in nature. However, there are 2 parts of a soul mate connection; 1 being the personality similarities and the other the chemistry caused by the combination. This particular combination produces a strong spiritual tie that will elicit transmitted feelings that each party would perceive no matter where they were located. You can discover many soul mate connections using this formula.